BURBANK, Calif. (Sept. 6, 2018) — It’s not a stretch to say audiences have missed their favorite family of Supers over the past 14 years. 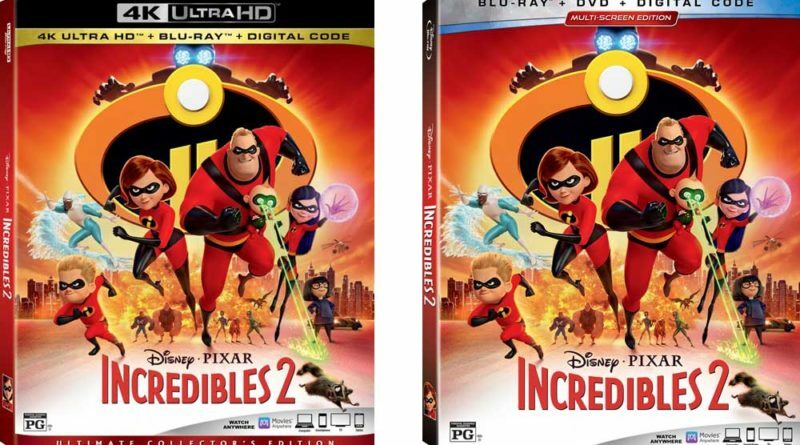 Disney•Pixar’s “Incredibles 2,” the sequel to 2004’s beloved Oscar®-winning “The Incredibles,” received a mega-strong reaction from critics and audiences — earning a 93 percent critics rating on Rotten Tomatoes, rocketing atop the list of highest-grossing animated films, and surpassing $1 billion at the global box office. Fans can reunite with this incredible family of Supers instantly on Digital in HD and 4K Ultra HD™ and on Movies Anywhere on Oct. 23, and on Blu-ray 4K Ultra HD,™ Blu-ray,™ DVD and On-Demand on Nov. 6. 4K UHD = 3840 x 2160, HD = 1920 x 1080, SD = 720 x 480. Some flashing-lights scenes in 4K UHD (physical and digital) versions may effect photosensitive viewers.